Set of 8 wipe off vinyl placemats. Easy care. Ok to immerse in water. Completely waterproof. 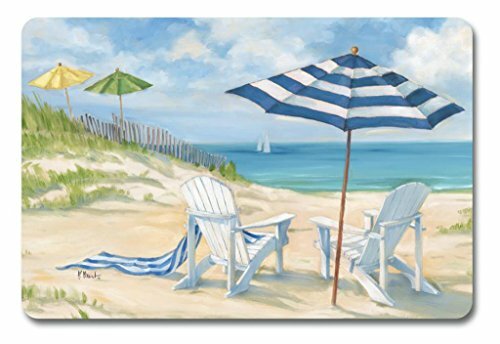 Wonderful for by the sea, coastal, beach, nautical decor. Rectangular. 12" x 17 3/4". If you have any questions about this product by Keller Charles, contact us by completing and submitting the form below. If you are looking for a specif part number, please include it with your message.